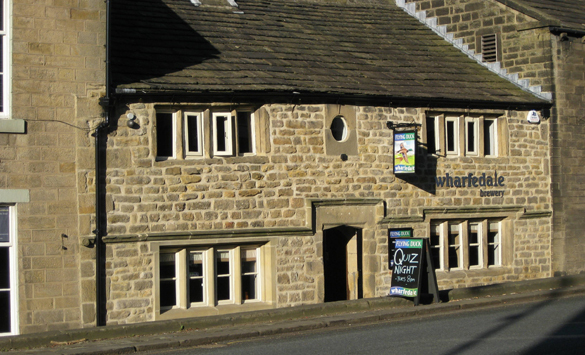 Refurbished in 2013, the Flying Duck Pub occupies one of the oldest buildings in the town of Ilkley; the barn housing the brewery to the rear is perhaps even older. The pub is open for real ales, ciders, wines and spirits every day, with late closing Thursday - Saturday. Hot and cold food is served at lunchtimes and weekday evenings (see Food page) and includes three menus; these are full meals, light-bites and sandwiches. Teas and coffees are available. 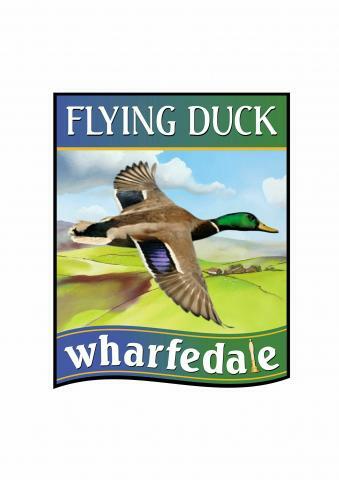 Wine is sourced from Martinez in Ilkley and of the nine real ales, three pumps are reserved for our own Wharfedale Beers. The other pumps offer rotate regularly, but will always offer a choice of beers to cater for every taste - from the crisp light blondes and hoppy IPAs to the rich dark beers and traditional bitters. (see drinks page). Keg craft beers and speciality bottles are also available. At the rear is a first-floor sun-terrace which over looks the brewery and on chilly evenings there are heaters. From here, it is possible to see the brewing equipment though the large display window. 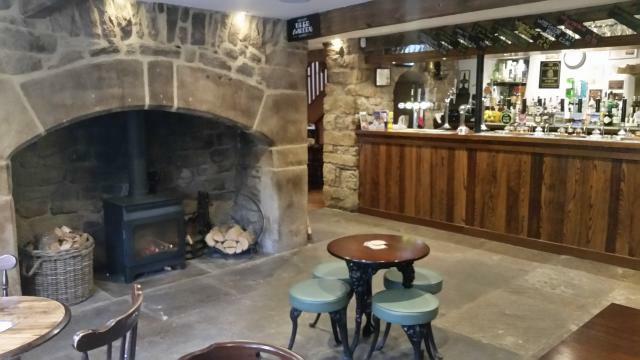 Upstairs, the two rooms can be used for private functions and parties free of charge and if needed, the upstairs bar can be staffed and hot or cold food provided. Special events can be arranged for private parties, including tour of the brewery, wine tasting, gin tasting, etc. It is also a venue for live music and details can be found on our Facebook page. Tuesday is quiz-night; this is free to enter, with food and drinks vouchers offered as prizes. Note that late openings possible for private parties.